A Market Rasen police officer has admitted he expects crime in the town to rise when two local convicts are released from jail. PC Christopher Bell was at Market Rasen Town Council’s monthly meeting on May 2 to discuss incident statistics for January to April. The figures - based on a 1,800 metre radius of Chapman Street - showed there were 11 thefts in January, 19 in February, 12 in March and just two in April. PC Bell said: “There’s nothing really alarming in there [the statistics]. “There’s quite a lot for theft at the beginning of this year. PC Bell told the meeting officers had worked hard to bring the offenders to court, and get them jailed. Coun Steve Bunney asked PC Bell how many people had contributed to the high figures. PC Bell responded: “That’s the same with all crime trends. “We’ve got an ongoing spate of quad bike thefts and Ford Transit thefts . We had one a couple of nights ago. PC Bell said the stolen quad bikes were being shipped out of the county. And he said criminals were removing the engines and gear boxes from the Ford Transit vans before setting fire to the rest of the vehicle. Last month, the Rasen Mail reported how Lincolnshire Police had blamed a one-man crime spree for a ‘spike’ in shoplifting offences in Rasen. 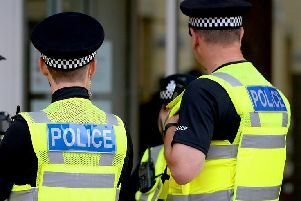 Figures published by Police UK show 74 crimes were reported in February 2018 compared with 42 last February. According to the site, figures for February 2018 were the highest for any month in the past three years.